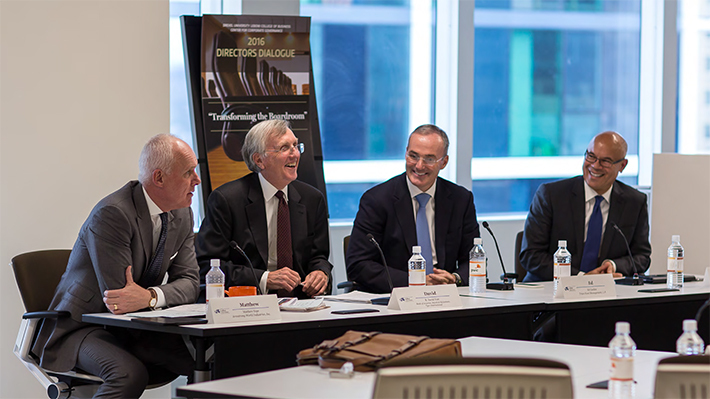 The Drexel LeBow Center for Corporate Governance’s eighth annual Directors Dialogue, held April 7, 2016, focused on “Transforming the Boardroom.” The program was exclusive to corporate directors and lead by subject matter experts such as Jack Brennan, Chairman Emeritus and Senior Advisor of The Vanguard Group, R. David Yost, Director at Bank of America, Marsh & McLennan, Tyco International and Ed Garden, CIO and Founding Partner at Trian Fund Management, L.P. The day’s dialogue centered on questions about the trending topics in the 2016 proxy season. The gathered directors discussed how management wants to engage and utilize its board in terms of strategy, what questions directors should ask themselves in regards to capital allocation with the best interest of the company in mind, and what activists are looking for when it comes to succession plans in a target company. 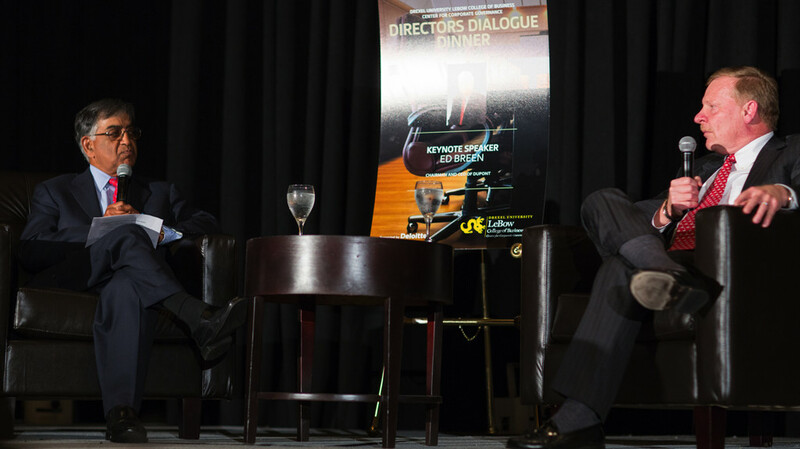 The ninth annual Directors Dialogue will be held on April 4, 2017 and will be followed by the dinner featuring a keynote address by Jack Brennan, Chairman Emeritus and Senior Advisor of the Vanguard Group. With the help of a $5 million gift, the College will establish the Raj & Kamla Gupta Governance Institute. John Brennan, director at General Electric, and Michael Useem, professor at Wharton, took part in a discussion on effective board leadership at Drexel LeBow. The men covered a range of topics, but often returned to the importance of and ongoing need for increased diversity in American corporate board rooms. The Center’s research and programmatic efforts advocate for leading governance practices in the public and private sectors.